My grandfather passed away on July 15. It was expected and something of a blessing, but it still feels like a clean empty place in the middle of my chest whenever I think about it, which is often. Mr. Boyfriend and I got married. Mr. Boyfriend will henceforth be referred to as Husband-Dude, the name that he selected for himself. 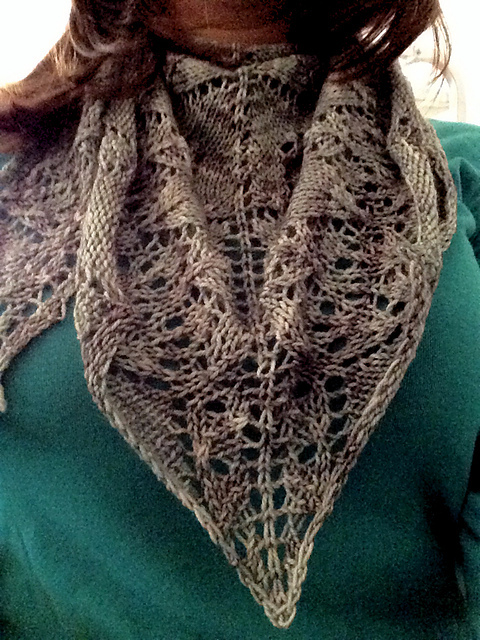 It’s Parisienne, by Katie White, in a lovely squishy merino-cashmere yarn from Sundara in colorway Graphite Falls. It’s as close as I could get, huh? I have no idea. 🙁 It was there one day, and then it was just gone and I couldn’t find it for the life of me. I maintain it got bored and went walkabout.